The journey of life is made up of many, many unexpected turns and detours. The road passes through beautiful scenery and pleasant places, but it also has its chug-holes, cul-de-sacs, bridges out and other travel hazards. There are constant distractions that can take our concentration away from getting to our destination. The road is constantly giving us forks and intersections that force us to make decisions about which way to go. It is not an simple journey we are on. So how do we make the trip successfully? Several years ago I heard Steven Covey, the originator of the Seven Habits material, say that most of us manage our lives depending heavily on the clock and the calendar to manage our time and help make our decisions. He suggested that the more important tool for all of us is the compass. It is the compass that points to true north and provides us with an orientation for knowing where we are and how we can reach our destination. By the Grace of God, we who are believers in Jesus Christ, have that inner compass for life available. It includes the inner witness of the Spirit of God who guides us. It is more expressed in the life model provided by Jesus Christ, as God clothed himself in humanity to show us his ideal for human living. The compass is partly defined in the wisdom and instruction of the Bible. It includes our individual sense of calling and ultimate life purpose. All of these elements form the inner compass that helps us navigate life effectively. The compass provides us with help in making decisions and managing life. At every turn in the road we can ask ourselves questions like, "What would Jesus do? ; What is the Spirit of God leading me to do in this situation? ; What overarching Biblical principle informs this decision? ; What decision in this circumstance helps me to stay on track with my essential calling and life purpose?" ​invitation to serve is to simply say, "I don't believe this particular opportunity is in keeping with my life purpose." 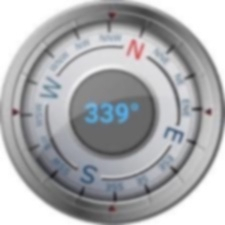 ​The wise traveler makes sure that he or she has a compass for the journey. Do you know what your own personal life purpose is? Do you have it written down and memorized so that it is always with you? The next test of effective living is whether you use your compass. Some people go to the time and effort to define their life mission, but then fail to apply it to the basic decisions and choices of everyday life. Keep your calendar, your clock, your personal data organizer and your maps. These are all helpful tools. But, live your life according to your compass. Let it point you in the right direction. Refuse to be drawn off course by the distractions and detours that will be put in your way. Let your compass be your guide.